Growing up in the 1930's during the depression Jerry Billing would read books of the air battles and aces of the first world war. When war broke out in Europe Jerry join the RCAF. Jerry achieved 2 tours during WWII with 250+ combat sorties in the Supermarine Spitfire. 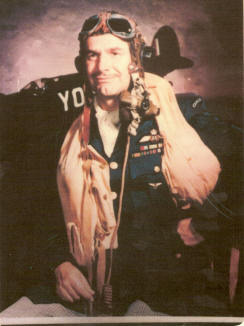 Jerry served in the RCAF until 1964 were he was a member of Canada's first jet demonstration team the Blue Devils and was the head aerobatic trainer for the RCAF Golden Hawks. In his career Jerry has piloted over 170 different aircraft from the Tiger Moth to the F-104 Starfighter. Jerry was the head test and display pilot for Canadian based De Havilland Aircraft for many years. Jerry is best known for his legendary displays in Spitfire's across North America thrilling thousands in his 52.5 years of continuous flying of the type, including Her Majesty Queen Elizabeth in 1984. Jerry retired from air show flying in 1994 and has instructed many current pilots on displaying the Spitfire aircraft. Since 2003 Jerry has been in a bitter battle with the Department of Veterans Affairs over a pension dispute with no prevail. 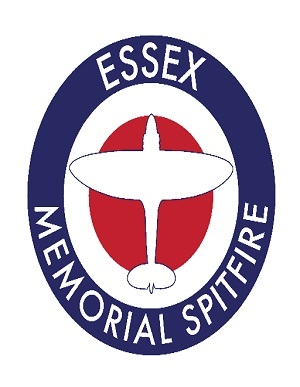 In January 2014, the Essex Memorial Spitfire committee was formed to raise donations to purchase and erect a replica Spitfire to honour all Windsor-Essex RAF and RCAF veterans who served during WWII. The Spitfire Mark IX was built by GB Replica's in England, and was painted to represent RCAF 401 Squadron YOD ML135 piloted by local Spitfire ace Jerry Billing during the D-Day invasion. The Spitfire was erected on September 14, 2014 after a joyous piper-led parade up Talbot Street. Thousands of local residents joined in the parade as they walked along the sidewalks with her, to her plinth. After Jerry's passing the committee vowed to continue to fundraise to purchase and erect the adjacent black granite Honour Wall and flagpoles. The WWII Honour Wall was finally completed in November 2015, and is now lasered with 1,787 Windsor-Essex RAF and RCAF veterans names. This final addition completed the promise the committee made to Jerry Billing that he and his comrades would never be forgotten.